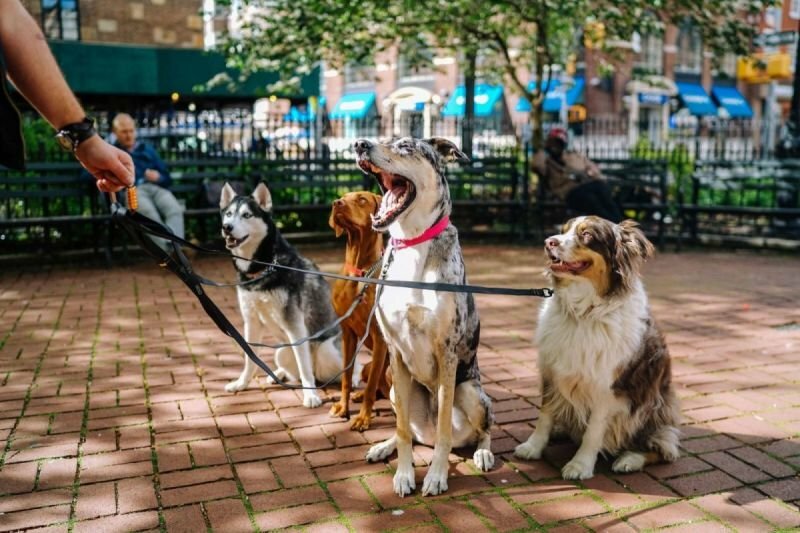 Whether you are busy with work, children, or for any other reason, or you just want to make sure your dog exercises more, gets to spend some quality outdoor time and socialises with other dogs, getting us to walk your dog is the answer. We walk dogs in small groups, no more than 4 compatible dogs at one time. We also provide solo-walks for dogs that prefer to be walked alone. Group walk: £6 per 30 minutes, £10 per 1 hour. Solo walk: £9 per 30 minutes, £15 per 1 hour.